Added by thronn on February 4, 2014. With the support of Vans, Steve Caballero will be hosting an all-star art show in San Jose, California this Friday, February 7th dedicated to the longest running skate shoe in history, his own Half Cab. 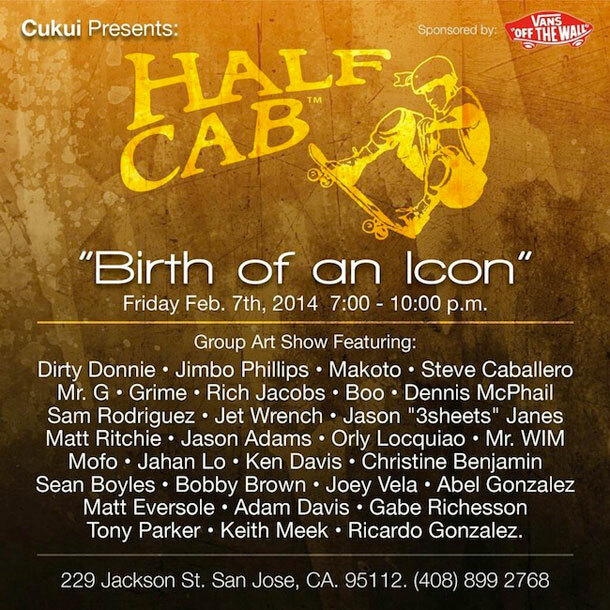 Lots of great friends, skaters and artists will converge to celebrate the “Birth of an Icon” event. Don’t miss this one!